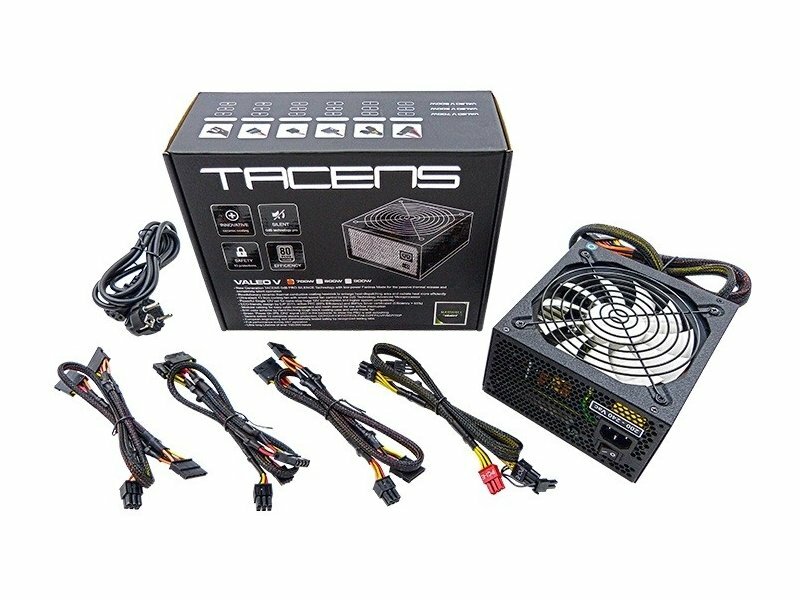 - New Generation TACENS 0dB PRO SILENCE Technology with low-power Fanless Mode for the passive thermal release and completely silent operation. - Revolutionary ceramic thermal conductive coating heatsink to enlarge heat-dispatching area and radiate heat more efficiently. 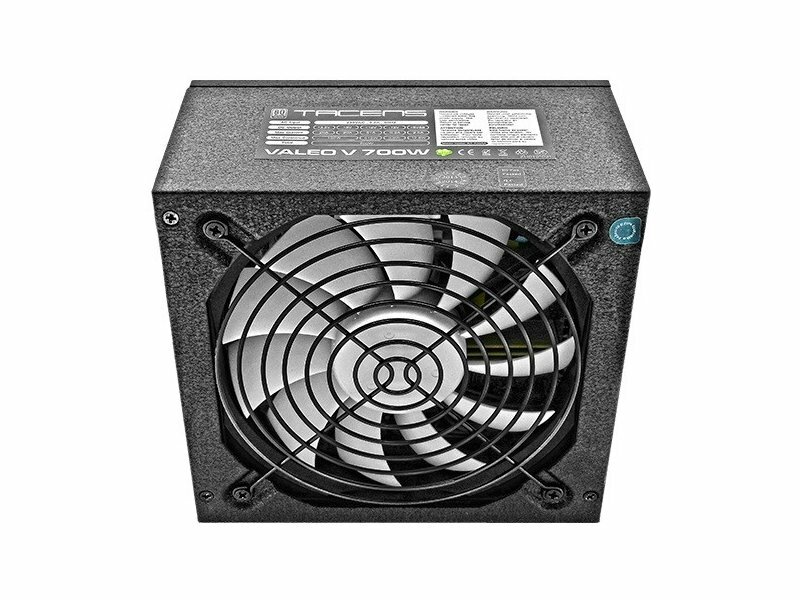 - Ultra-silent 13.9cm cooling fan with smart speed fan control by the 0dB Technology Advanced Microprocessor. - Powerful Single 12V rail for none-stop huge 12V consumption and higher system compatibility. - ECO-friendly design by ErP 2013, active PFC (99% Efficiency) and 80Plus Silver certificated (Efficiency > 85%). - Modular cabling for easy cable management and mesh sleeve for low airflow interruption. - B/W color scheme by Hard-Rocking rough black coating case and white blade fan. - Green “Power On (PS_ON)” signal LED in the backside to show the PSU is well outputting. - Tacens safest 10 complete electric protection: OCP / OVP / OPP / OTP / OLP / RNE / PFP / UVP / SCP / TCP. - European engineering and internationally tested safety by recognized testing labs. - Full performance during 24/7 operation. - Ultra long Lifetime of over 100,000 hours.